In the wake of the recent e-commerce explosion, companies and consumers alike are becoming more comfortable making and receiving payments online. Despite this convergence in the consumer sphere, many churches, schools and other nonprofit organizations have yet to bring their giving programs online, limiting an increasingly tech-savvy populace to making donations via check or over the phone. While this delay may be due in large part to tight budgets and the belief that technological solutions are too expensive, it is now more affordable than ever to bring business online. Plus, engaging potential donors via the internet creates opportunities to vastly increase giving, such that web-based solutions can pay for themselves quicker than ever. "With an online platform, its easier than ever to manage recurring payments." Encourage recurring payments: With an online platform, it's easier than ever to manage recurring payments, the Huffington Post reported. Rather than manually entering donations every month or physically storing payment details between annual giving periods, an online solution can charge donors automatically when necessary. Appeal to busy donors: In today's ever-connected world, people browse the web more with their smartphone than their computer, according to consumer behavior analysts comScore. This means potential donors are now likely to come across your website while they're on the go. Accepting online payments makes it easy to donate from anywhere in just seconds. Build relationships: Online giving campaigns are extremely customizable, allowing organizations to automate emails and thank you notices to their loyal donors. Small touches like these can make all the difference in securing future donations, making these relationship-building tools all the more important. At Vantage, we specialize in helping organizations find the right payment processing solutions for their needs. 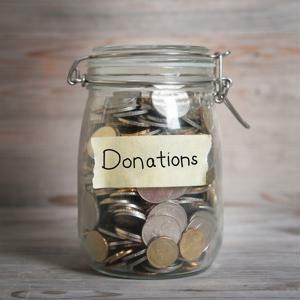 With our payment solutions for online giving and donations, nonprofits can simply add a "Donate" button to their existing website without any special software or technical know-how. To learn more, contact us today.